Another Yes gig…another line-up change. This one, regretfully, Grim Reaper induced, as bassist Chris Squire had a few months earlier been spirited away to wherever departed rock stars go. 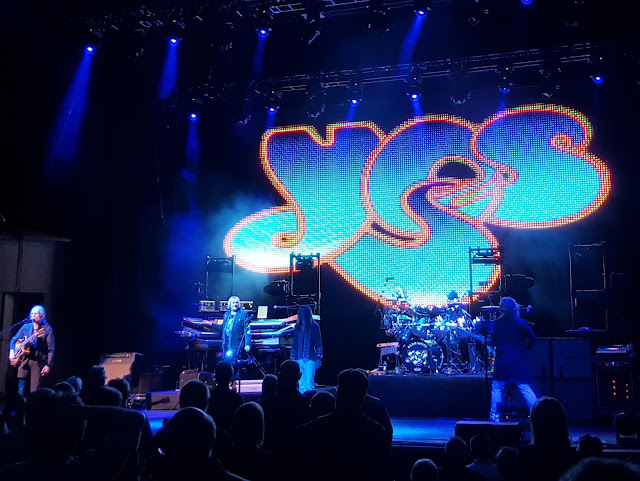 Squire’s death broke the final link with the original Yes line-up from 1969, resulting in the current incarnation now boasting no original members. 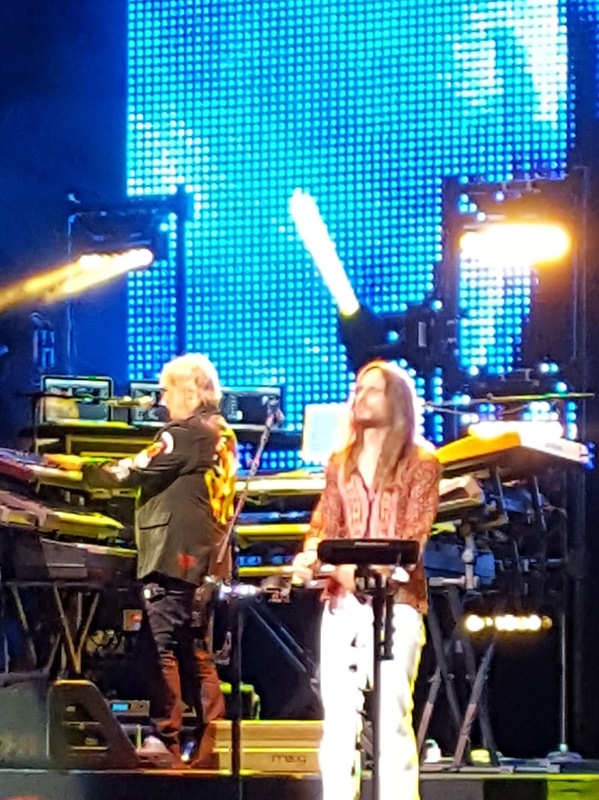 Although, of course, Steve Howe and Alan White can each trace their lineage (unbroken in the latter’s case) back to the band’s early/mid Seventies pomp. 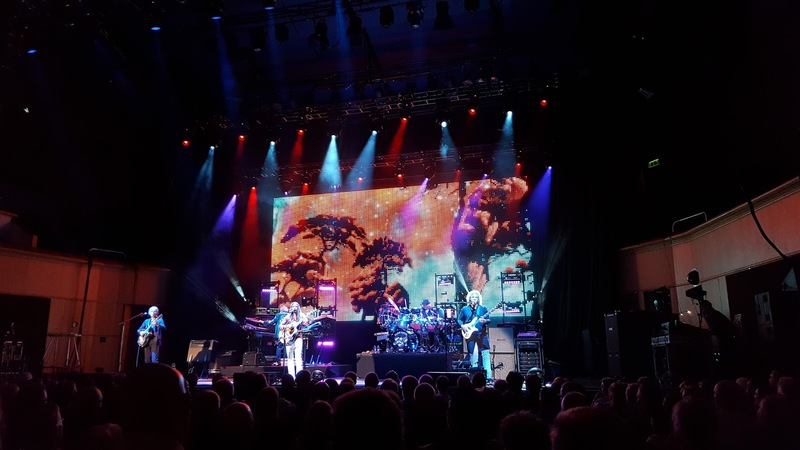 Squire’s replacement is one Billy Sherwood, whose task of filling the bassist’s shoes would have been made slightly less onerous by his having earlier been in the band for a couple of periods between 1994 and 2000. The fact he is also a darned fine bass-player in his own right, would not have harmed. But even so, I would be surprised if there had not been a few seeds of doubt in the American’s mind when he pondered just how he would be received on these shores. He would have been acutely aware, I am sure, of the benignly tolerant welcome Trevor Horn had been granted during the stateside leg of the Drama tour in 1980…..before being pretty much hounded out of the band by the viciously negative response of fans on the subsequent UK leg. In the event Sherwood was warmly welcomed into the collective bosom this evening; with his work on both The Fish and Heart of the Sunrise real high points of the concert. 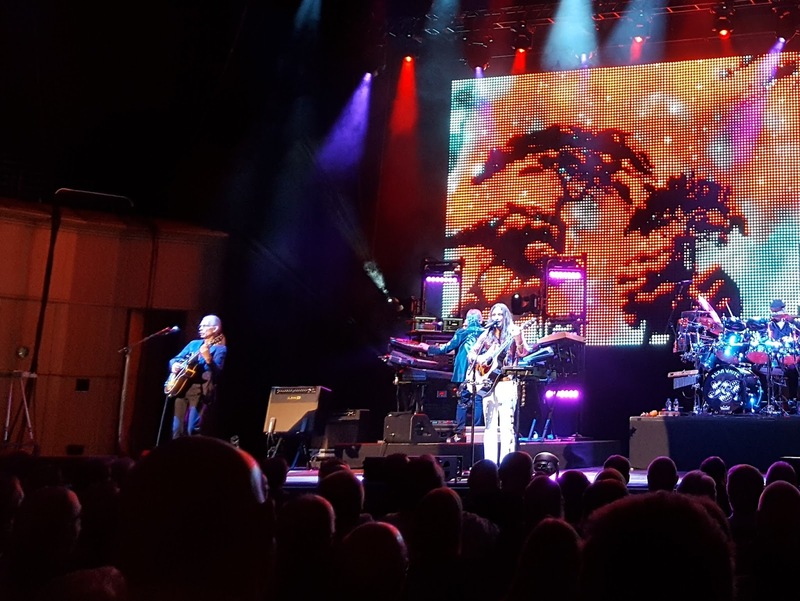 Steve Howe’s work was also first class - the fact his guitar appeared to be mixed more to the fore that the last time I saw the band certainly helped. 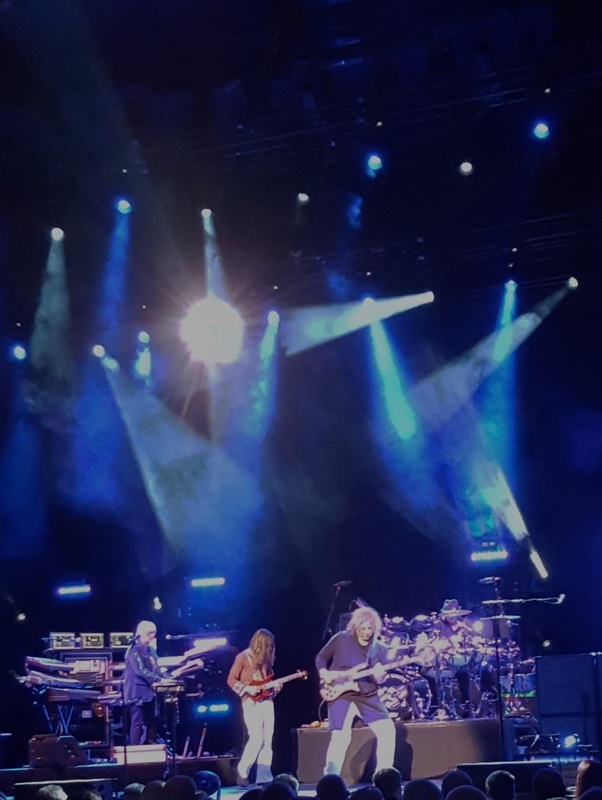 If there were, what sounded to my ears anyway, a couple of fluffs during Mood for a Day and Siberian Khatru, I am sure the guitarist’s sixty-nine year old fingers could be forgiven. Never a very well-padded chap, I noted he appeared to have lost even more weight since the band’s last Glasgow visit in 2014. With the result, with his long hair scraped back off his skull, he resembled at times nothing so much as Peter Jackson’s Gollum. 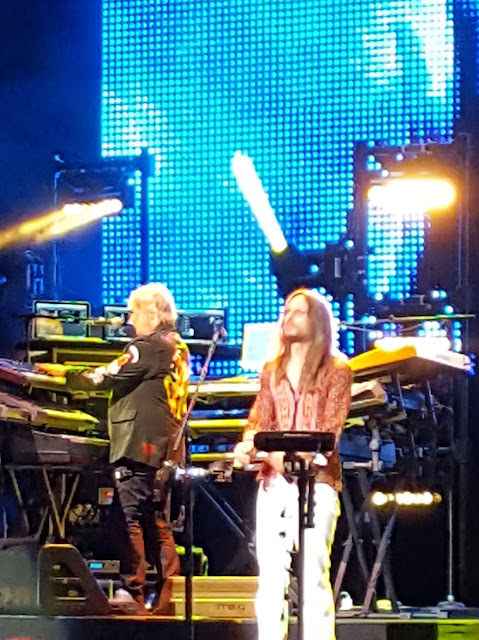 Geoff Downes and Alan White for their parts appeared content to lurk in the background competently and reassuringly filling out the sound. But amongst all these wrinkles, it was the baby-of-the-class vocalist Jon Davison who toiled this evening. Perhaps this was just an off night – he was certainly more impressive last time around - but he struggled throughout to hit the high notes with any sustained power. Oddly, it was on the Drama tunes where he seemed most at sea. 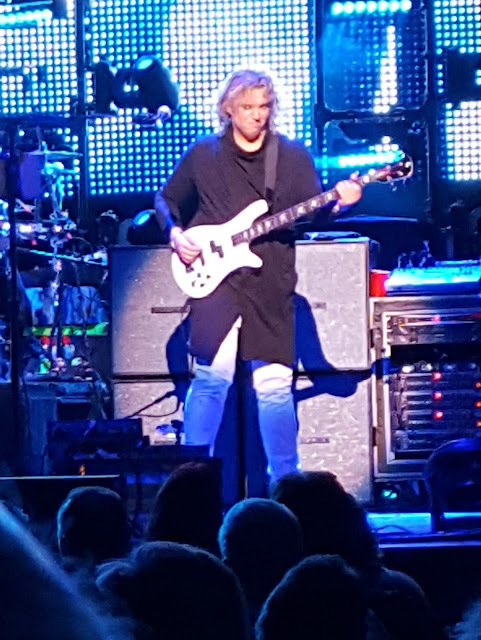 Clearly, he can impersonate Jon Anderson rather more successfully that he can Trevor Horn. That being said, the real low point of the evening, vocally speaking, came during the “Na-na-na-na-na Nah” interlude in the middle of South Side of the Sky, which swiftly degenerated into an excruciating aural train-smash. What would most certainly not have helped Davison’s cause was the fact the show had initially begun with a recording of Chris Squires’ Onward; Jon Anderson’s crystal clear studio vocal from the Tormato album setting a standard his impersonator’s bleat could never live up to. Owner of a Lonely Heart put in a rare appearance even if, if memory serves, only Alan White of the current crop had any role in its original recording. A Number 1 hit in the US, I could imagine our stateside cousins wetting themselves with glee as the opening bars were played. In Glasgow, with the exception of a thirty-something woman to our left who got up to dance, the song was met with almost complete indifference. 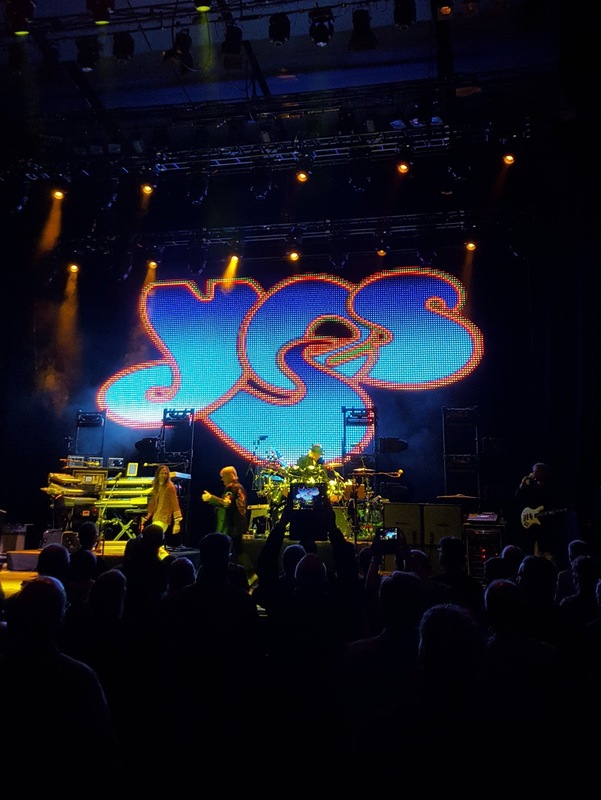 Simply something to be endured before we were given another real Yes song. Which we received with a rousing Starship Trooper to send us home happy.